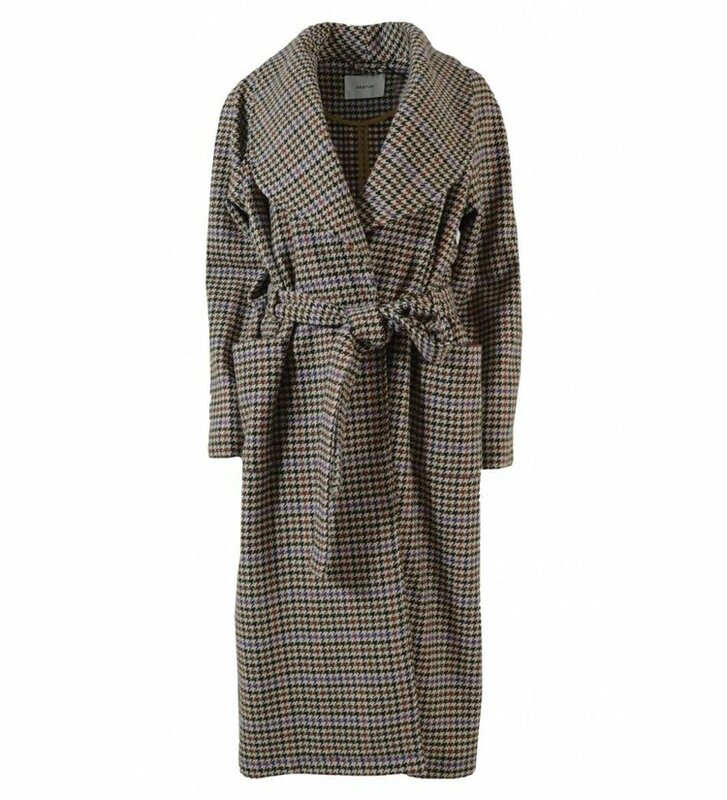 Wool coat Welle Check Coat Off White/Cognac Check from Gestuz. 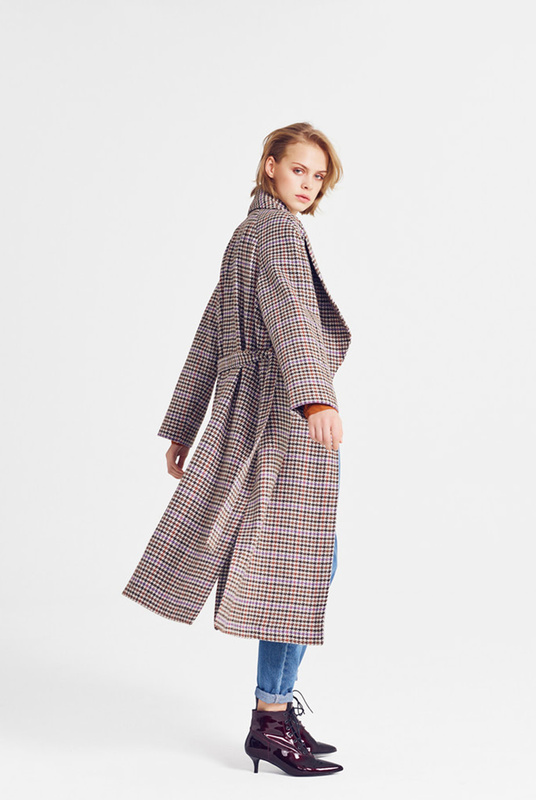 The coat has long sleeves and two pockets at the front. 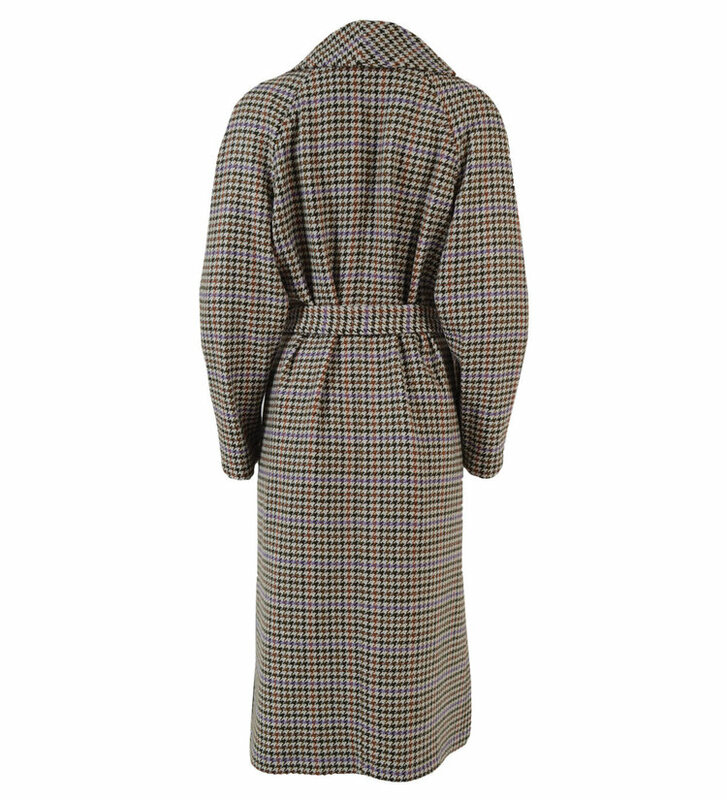 The coat has a broad collar. 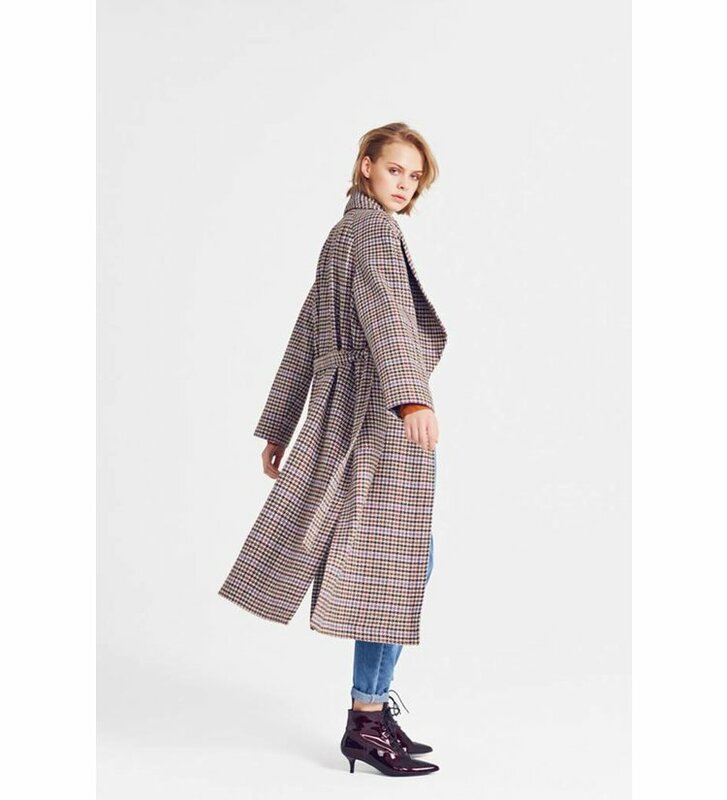 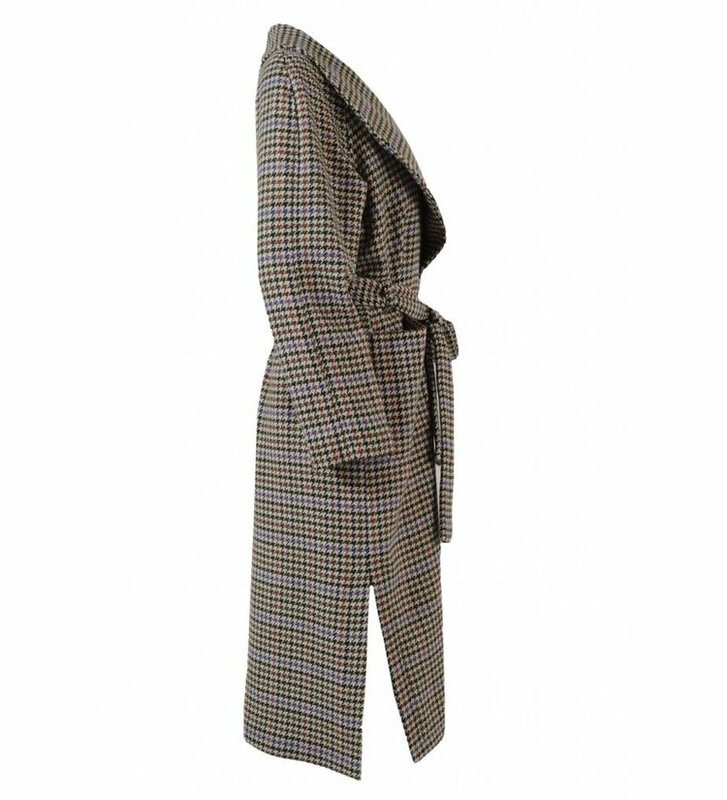 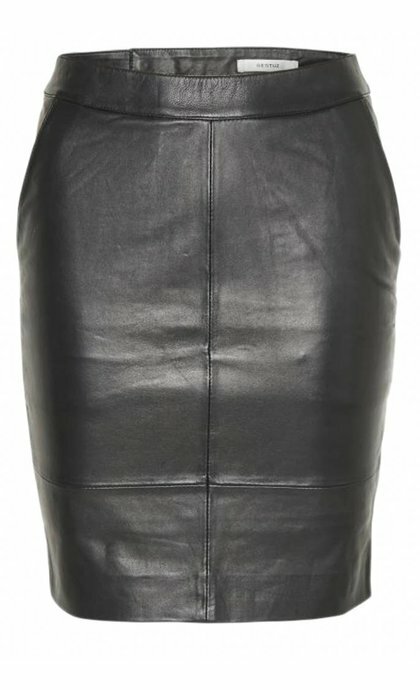 The coat has a wrap closing only with waist band. 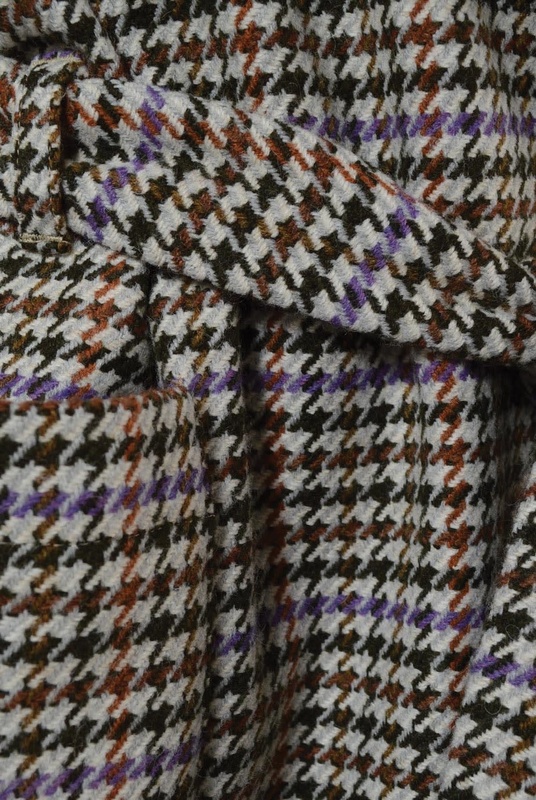 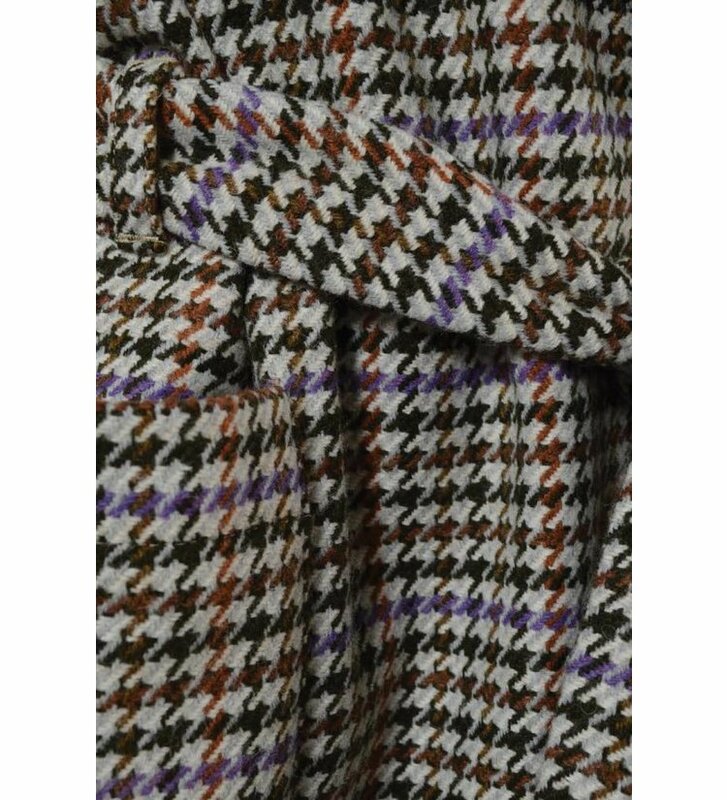 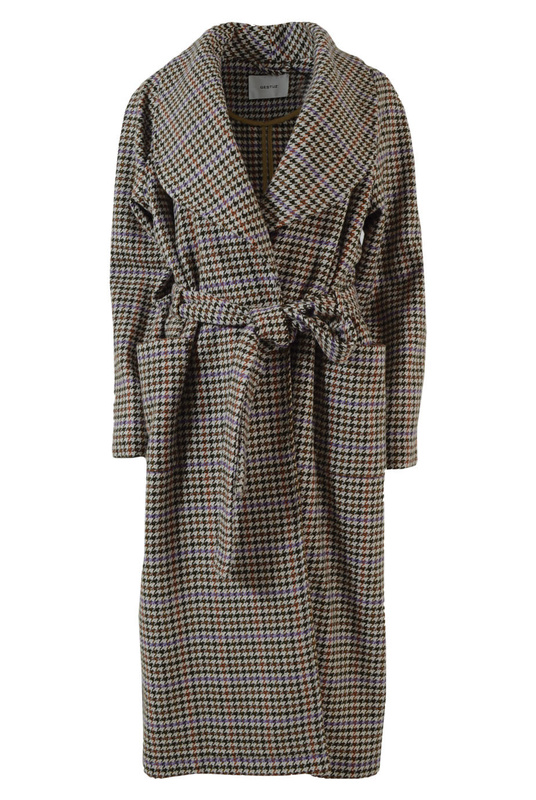 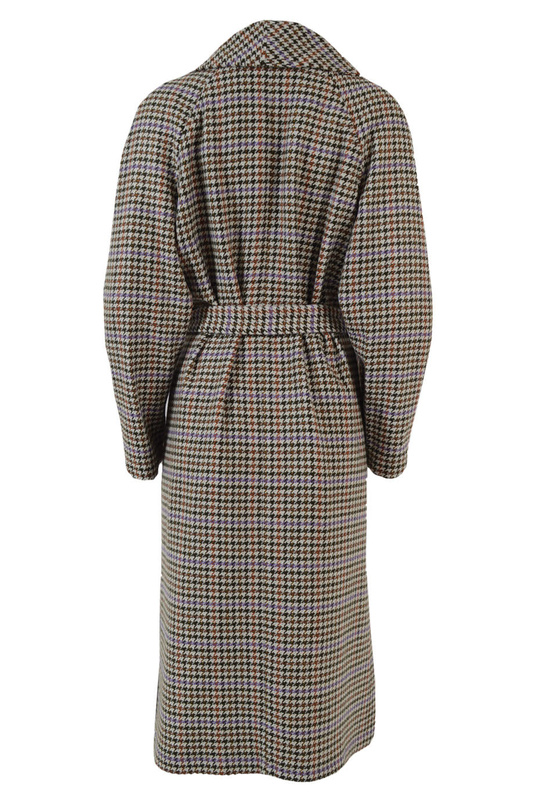 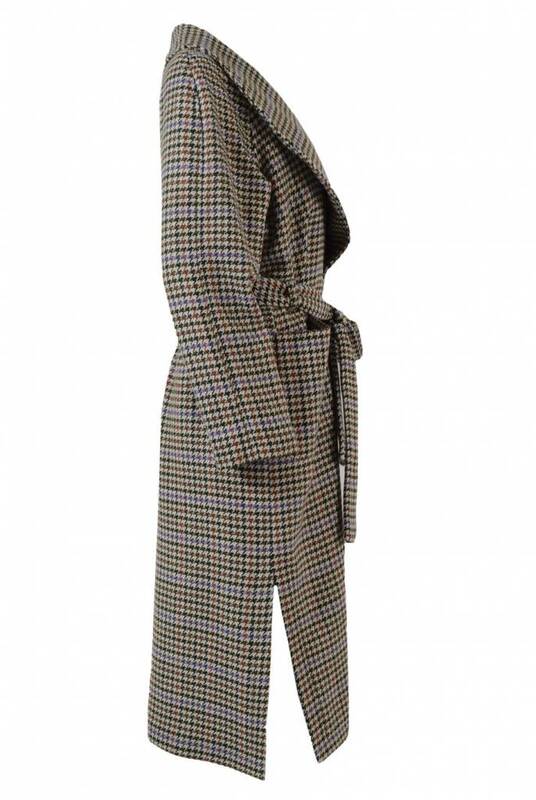 The print of the coat consists of white, black, brown and lila.